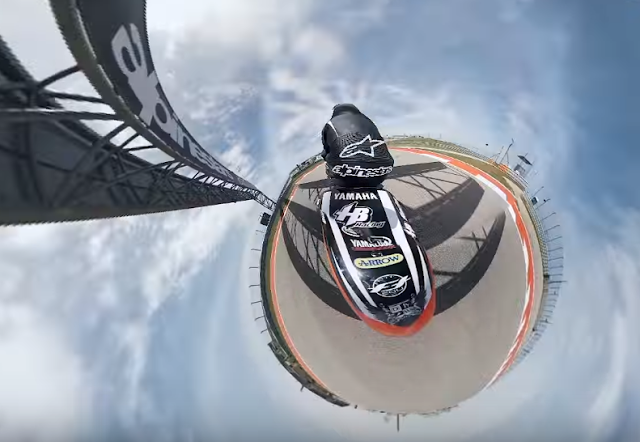 We’ve seen the GoPro Odyssey, its 16-camera 3D 360 rig implementation of Google Jump. We’ve also seen the GoPro Omni, its 6-camera 360 rig with 8k resolution. GoPro has another 360 camera – one that is much more compact and unlike the GoPro rigs, does not require stitching, and is indeed capable of livestreaming in 360. Hit the jump for the details. The LiveVR system has two lenses and sensors, and is based on two HERO4 Black cameras and two HEROCast livestreaming transmitters. Although the LiveVR system is based on the HERO4 Black, its lenses aren’t simply HERO4 Black retail units that are back to back, but instead appears to be an all-in-one unit. 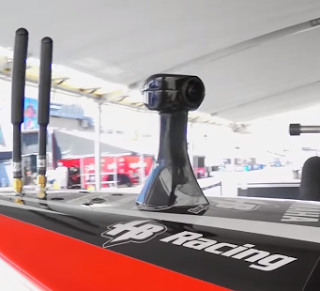 GoPro demo’d its LiveVR system at MotoGP on the motorcycle of Dakota Mamola, son of the famous Randy Mamola, who in 1985 was the first to carry an onboard camera that could broadcast the cockpit view live. At one point, Randy had to be in Netherlands while his son was in Utah. 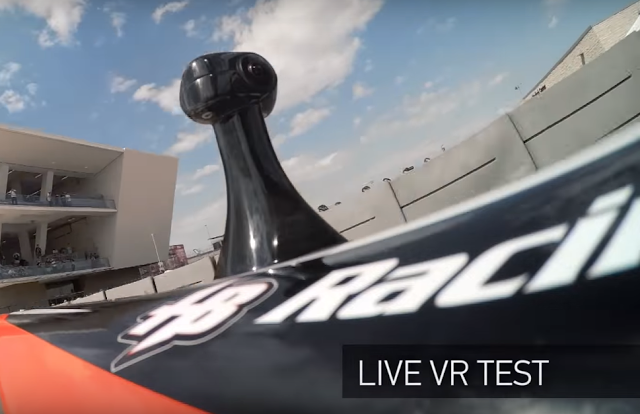 However, with GoPro’s LiveVR technology, Randy was able to watch his son race in 360, in realtime. Hopefully GoPro will make a consumer version available soon.